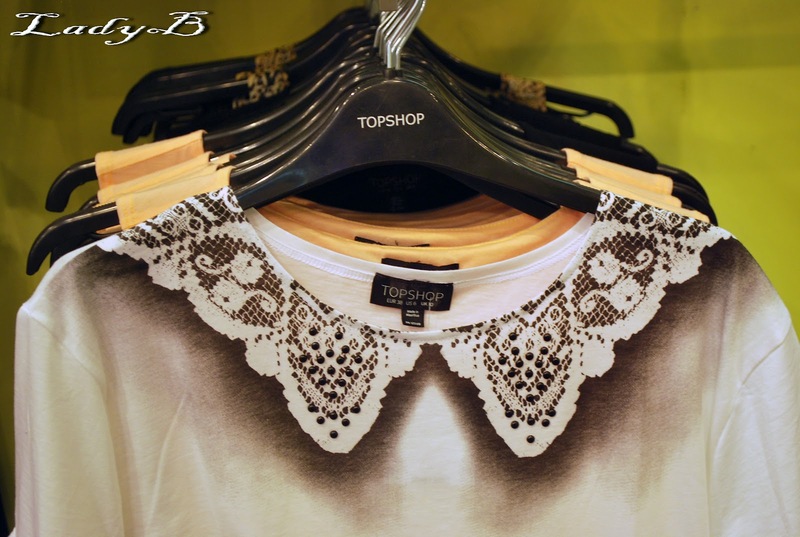 What's New at Topshop ! 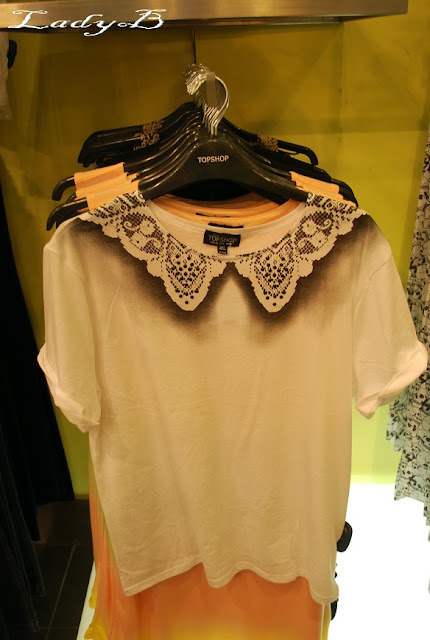 Spotted this t-shirt at Topshop which looks pretty ordinary from afar but upon a closer look you can notice that the collar was spray painted with an added lace affect and had tiny bits of scattered black pins to give it 3D effect ! Sounds like an interesting DIY project if I may say? no? It would look cute tucked into a pleated a skirt !